Thanks so much for choosing the MG Book Village to host your cover reveal. We’re thrilled to have you! Before we get to the new book and its cover, would you care to introduce yourself to our readers? Hi everyone! Thank you to MG Book Village for having me! I’m the author of the Mrs. Smith’s Spy School for Girls series, featuring boarding school student Abby Hunter, who never lets a little danger get in her way, and her best friends, Izumi, Charlotte and Toby. All right — onto the new book, the third installment of the Mrs. Smith’s Spy School for Girls series. Can you tell us a bit about it? I’m totally excited for Double Cross: Mrs. Smith’s Spy School for Girls #3! In this installment, Abby and friends are invited to Briar Academy to participate in the Challenge, where teams of the best and brightest students from around the country are invited to solve some of the world’s most pressing problems. Our friends, still trying to prove to the not-so-kind Mrs. Smith that they belong in spy school, figure winning the Challenge is the best way to prove they are worthy. But during the competition, it becomes clear that Abby’s nemesis, the Ghost, is up to his old tricks and trying to steal ideas from a fellow Smith School team to use for nefarious purposes. Of course, Abby can’t let this happen. Chaos ensues. Naturally. One of the things I love most about your books is the dialogue. I could read the back-and-forth between the characters all day long. How do you do it?! I talk to myself a lot! Seriously, there’s a space between language that doesn’t sound as if it could ever be spoken and how we really speak. You can’t write dialog that exactly mimics conversation because it would be very hard to follow – we tend to speak in something less than complete sentences – but you don’t want your characters to sound like they are cardboard. So finding that space in between is the trick. I’m a huge Aaron Sorkin fan and he’s a master at the rapid fire, rat-a-tat-tat dialog I love so much. I want my characters’ conversations to fly back and forth with some sparks! Okay, let’s get to the cover. Were you involved in the process at all? My publisher always shares the pencil sketch early in the process of cover design. I might have a comment or two but I’ve been amazingly lucky to have the incredibly talented Vivienne To doing my covers. She really captures the essence of the books. Around Halloween, I get parents emailing me photos of their kids dressed up like Abby on the cover of the first book. That is all because of Vivienne! WOW! So much energy and movement! It’s electrifying! What did YOU think when you first saw the art? As the series has progressed, the covers have gotten brighter and bolder. I love how the colors jump off the page and the kids look so active, like they might just charge right into your room at any second. I wanted to write a series with a lot of action, with girls in the lead. The covers bring that idea to visual life. When can readers get their hands on the book? Double Cross hits the shelves on August 6, 2019. Beth McMullen is best known for the Mrs. Smith’s Spy School for Girls trilogy, middle grade spy thrillers, packed with action, adventure and humor. She also writes the Sally Sin series for adult readers. Beth lives in Northern California with her husband, kids, cats and a very tolerant parakeet named Zeus. Visit her website at BethMcMullenBooks.com or follow her on Twitter at @bvam. Okay, so we all know we’re not supposed to judge a book by its cover. But have you seen the absolutely glorious cover of the Middle Grade at Heart November book club pick, The Hotel Between? Isn’t it stunning and intriguing? The cover artist, Petur Antonsson, did an incredible job with the illustration, and the author, Sean Easley, gave Antonsson a whole lot to work with because this book features some truly masterful visual descriptions. Let’s take a look at a few passages to see how Sean Easley manages to evoke rich, specific images while also leaving just enough to the reader’s imagination and conveying a sense of his narrator’s personality. I turn back to the door and catch a glimpse of…something unbelievable. Thick, velvety maroon carpet stretches deep into an open foyer and up a twisty staircase. Warm light shines from old, Thomas Edison-style bulbs in intricate brass fixtures. A sparkly chandelier with long, dangly chains of crystals casts rainbows everywhere, flooding the enormous space with warm, smoky light. I can’t even see the ceiling, it’s so high. And I think I smell blueberries. There are so many vivid sensory details in this opening description. We get a sense of the vastness of this place, how old it seems, and how it’s too big and too complex for Cam to fully take in. There’s a sense of oddness, too, and a bit of unexpected humor with the ending sentence about blueberries. There are interesting verbs (stretches, casts, flooding), and we can see from the word choice and specificity that Cam is intelligent and perceptive, despite how self-deprecating he can often be. The description also doesn’t go on too long; pretty soon, the door to the hotel closes and the action starts back up. Easley doesn’t take up so much space with his lush descriptions that the action drags. He leaves us wanting more and imagining what else Cam doesn’t see in his first glimpse of this intriguing place. All around us, tall glass-and-stone buildings drip with light. Carved granite arches glow as the sun sets beyond them. Warm, yellow strings of incandescent bulbs drape from the pop-up tents scattered throughout the square. Tree branches twist and curl, carrying the lights into the sky like the fiery breath of a dragon. Again, check out all those striking verbs (drape, twist, curl, carrying) and the way we get plenty of vivid details but not too many; we have space to imagine what else is going on in this scene and to feel its glowing warmth. The use of figurative language is also terrific. That simile about the “fiery breath of a dragon” is not only original and interesting, but it also reveals something about Cam, who is a very cautious character and sees this world he’s stepping into as something amazing…but also frightening. And at the desk in the center of the room sits a man who looks like Death on his way to the prom—flat, angular forehead with a receding hairline and slick black hair. His face is long—way longer than it should be—and his cheekbones look like someone surgically inserted dice into his face. Isn’t that an outstanding paragraph? The simile about “Death on his way to the prom” reveals Cam’s sense of humor as well as his lingering fear. Plus, it leaves the reader space to imagine what this man is wearing and what might make his features look “deathly.” The humorous (but disturbing) line about dice being inserted into Agapios’s face also paints quite a visceral picture! Based on the way Agapios is described, the reader immediately wants to know more about who he is and what he’s up to. Let us know on Twitter if there are other descriptions in the book that strike you as especially effective, and we hope you’ll enjoy our newsletter about The Hotel Between, which will go out on November 26th. And don’t mis our Twitter book club chat about the book, which will take place at 8pm EST on Tuesday, December 4th with the tag #mgbookclub! Hello! So happy to be here today on MG Book Village! Some of you may have noticed me cryptically tweeting this week about a fun, new development related to the hashtag #SpookyMG. Well, today I can finally be slightly less cryptic! Just kidding . . . I can spill the beans entirely! I am SO excited! But first, let’s rewind a bit. About a month ago, several “spooky” MG authors and myself banded together to begin offering free panel-style Skype sessions. These sessions were wonderfully well-received, and before we knew it we had requests from all over the country! From there, the concept bloomed into something more — something incredible. It bloomed into a full-fledged resource center for not only lovers of spooky middle-grade books, but also for educators and librarians who want to satisfy the reading needs of their most daring, fright-chasing students. It bloomed into www.spookymiddlegrade.com. This new website features author bios and fun facts for over ten middle-grade authors! In addition, there are: teacher resources, free Skype sessions, book trailers, and get this . . . A SPOOKY MG READING CHALLENGE complete with prizes! It’s the ultimate stop for seasoned readers of chilling middle-grade as well as those who are just beginning to dip a toe into the world of spine-tingling books! The authors contributing to www.spookymiddlegrade.com all have one thing in common, and it’s not just that we love books with a creep factor (we do, though. Totally). It’s that we believe spooky stories serve an important role all year round. Don’t believe me? Maybe these quotes from some of our talented, spooktastic authors will change your mind! To learn more about all our #SpookyMG authors, schedule a Skype, or peruse our teacher resources, visit the website asap. We can’t wait to meet you! To celebrate the launch of Spooky Middle Grade, Lindsay is hosting a giveaway of the books below! To learn more about the giveaway — and enter! — head over to Lindsay’s Twitter feed –> @lindsayncurrie. 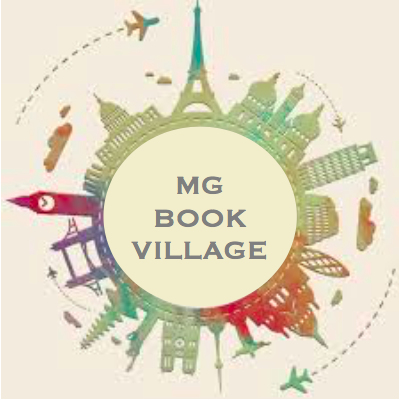 MG Book Village: Thanks so much for choosing the MG Book Village to host your cover reveal. We’re thrilled to have you! Before we get to the new book and its cover, would you care to introduce yourself to our readers? Ariel Bernstein: Thanks so much for having me at the MG Book Village! I’m an author of picture books and chapter books. I love to write about balloons, animals, and kids with a lot of character. I live in New Jersey with my family and a very energetic cat. All right — let’s get right to the new book, the third book in the WARREN & DRAGON series. Can you tell us a bit about it? VOLCANO DELUXE is about Warren and his pet dragon, Dragon, who see a deluxe volcano building set at a toy store. It shoots lava in the air and they want it more than anything! Some kids would use their allowance to buy it, but since Warren has never been one to do his chores, he and Dragon have to think of other ways to earn money. Unfortunately, Warren’s twin sister mistakenly thinks Warren is trying to earn money to buy toys for kids in the hospital. Soon, everyone thinks Warren is doing a good deed. Warren has to figure out who he really wants to help, or no one may get the volcano deluxe building set! We loved your Nerdy Book Club post from a few months back about “thinking outside categories” when giving young readers book suggestions. Would you care to talk about that at all, and would you like to share some “outside-of-category” books to pair with your WARREN & DRAGON books? Thank you! I really enjoyed writing that post. There is a lot of discussion with parents, teachers, and librarians about what books kids should be reading. Some people think that kids should only read books at or above their ‘level.’ Conversely, I believe that kids should read whatever books they are drawn to, as it will better help to foster a lifelong love of reading. I saw with my own daughter that while she has started to enjoy middle grade books, she still loves reading picture books, chapter books, and especially graphic novels. The picture book WHEN A DRAGON MOVES IN by Jodi Moore and illustrated by Howard McWilliam, for kids who love the idea of hanging out with a dragon. The BINK & GOLLIE early reader books by Kate DiCamillo and Alison McGhee, illustrated by Tony Fucile. For kids who enjoy the funny back and forth banter characters with strong, distinct voices. Dana Simpson’s PHOEBE AND HER UNICORN graphic novels. I think these books, like WARREN & DRAGON, are great for readers who need lots of humor to draw them in. Plus, the illustrations are so good! Kids who relate to Warren’s shyness and feeling out of place will also likely relate to Firoozeh Dumas’ middle grade novel IT AIN’T SO AWFUL FALAFEL. Like WARREN & DRAGON, it is told in a genuine first person voice and focuses on a kid who wants to make friends. Okay, now let’s get to the cover. Were you involved in the creation process at all? I wasn’t involved in creating the cover (other than thinking up the title!). But it’s pretty common for an illustrator to work on a cover directly with the editor and art department. Luckily I’m friends with Mike Malbrough, the illustrator, and I sometimes get to see sneak peeks of the art which is always fun! Wow! It’s fantastic! What did YOU think when you first saw the cover art? I loved Mike’s art when I first saw it! He really captures the silly humor of the characters and story, as well as Warren’s relatable struggles. In VOLCANO DELUXE, there’s a scene where Warren and some other kids are taking a photo for the town newspaper, and Dragon manages to photo bomb it. I was hoping Mike would choose to illustrate it, and he did! The illustration is so funny and makes me laugh whenever I see it. VOLCANO DELUXE is available now for pre-order online and from local stores, and can be found in bookstores and libraries starting April 2, 2019! The first two books in the series, 100 FRIENDS and WEEKEND WITH CHEWY, are out now. Ariel Bernstein grew up outside of Philadelphia (developing a cheesesteak obsession), went to college at Barnard in New York (developing a sushi obsession), and now lives in the suburbs of New Jersey with her family (developing a marshmallow obsession). She doesn’t have a pet dragon, but does have the occasional herd of deer show up in the backyard. Besides writing children’s books, Ariel’s worked in a movie theatre, at a Baskin-Robbins, as a camp counselor, as a paralegal, in human resources, and as a stay-at-home mom. Visit her at arielbernsteinbooks.com. Flash back four years ago. My daughter was ten, an avid reader and seeking her next book. She wanted something different. She and I didn’t know what it was called at the time, but what she wanted was an “issue book”—a book that deals with a real world issue that she could discuss with her friends and, if I was lucky, she might discuss with me. As a full-time lawyer who was already transitioning between careers to become a writer, I thought it would be easy to find what she was looking for. Wow, was I wrong! The kinds of social justice books she wanted, whether historical or contemporary, were few and far between. It was easy to find what she was seeking over in the YA section, but as a parent, I didn’t think she was quite ready for some of the content. I didn’t want her love of reading to fizzle because of a lack of books, so I ended up previewing the YA books before handing them over to her. Now, to be honest, I love children’s literature, so this wasn’t really a trying task for me. But most parents don’t have the time or desire to pre-read all the books their kids read, and they shouldn’t have to. Fast-forward a few years when my agent called, asking if I would consider writing for the upper middle-grade market. My first reaction: What upper middle-grade market? Did I really want to put my heart into a book when no publisher would want it? But my agent followed-up with an explanation: Sonali Fry, the publisher of a new middle-grade imprint, Yellow Jacket, wanted to make a concerted effort to focus on that upper middle-grade category (ages 10-14; grades 4-9). Lucky for me, Sonali was also extremely interested in learning more about an unexplored topic in middle-grade books—polygamous communities. And then, I thought about it a little longer. My background is in Religious Studies, so I already had the knowledge base to write the book (though I did update my research). More importantly, I started to ask myself questions. How would I think if I was born into one of these communities, and it was the only life I’d known? How would I feel about the rules being imposed on me as a girl and on my sisters and my mothers? How would I perceive the privileges and expectations placed on my father and brothers? And finally, would this be a book my daughter would want to read? I soon realized I wasn’t really writing a book about polygamy; the community was only the setting. Instead, THE PROPHET CALLS explores female empowerment, the importance of family and questions of faith. In other words, it’s exactly the type of book my daughter had wanted. As of late, my publisher is not the only one that has realized this previously unmet need for older middle-grade books. I’ve been so fortunate to debut with other authors who are also wrestling with important themes for this category of readers. For example, PEASPROUT CHEN, FUTURE LEGEND OF SKATE AND SWORD by Henry Lien is a futuristic fantasy that explores the politics of culture and identity. EVERY SHINY THING by Laurie Morrison and Cordelia Jensen is a contemporary realistic story that examines a friendship between a girl who occasionally has to take on the role of parent and another who struggles with shoplifting. LEGENDS OF THE LOST CAUSES by Brad McLelland and Louis Sylvester is a western fantasy that delves into feelings of vengeance versus justice in the wake of the death of a loved one. And these are only a few of the fantastic books publishers have designated for ages 10-14 in 2018! Four years ago, I could only hope to find books specifically written for my upper middle-grade reader on the shelves. I’m so happy these books now exist and, if you ask for recommendations, I’ll excitedly point out the numerous titles that are as diverse and wonderful as their authors. From what I’m hearing, educators and booksellers and parents have welcomed this overdue addition. And most important (to me at least), my daughter thinks it’s pretty cool, too. Melanie Sumrow received her undergraduate degree in Religious Studies and has maintained a long-term interest in studying world religions. Before becoming a writer, Melanie worked as a lawyer for more than 16 years, with many of her cases involving children and teens. THE PROPHET CALLS is her debut novel. The Middle Grade at Heart selection for November is…. The Hotel Between by Sean Easley! A magical hotel, a mysterious tree, and a cryptic story about their missing father leads twins Cam and Cass on a worldly adventure in this enchanting debut novel that’s perfect for fans of Escape from Mr. Lemoncello’s Library and Wildwood. Twins Cam and Cass have never known their parents. They’ve been told their mother died, and Cass is certain their father abandoned them. Cam isn’t so sure. He wants to prove her wrong; he must. Cam’s wish is soon granted in the form of a glistening, golden sign with elaborate flourishes that reads: The Hotel Between. With doors that open to countries all over the world, magical trollies, charmed corridors that can be altered on a whim, stone elephants that turn to life, sweets made from rocks; everything is possible in The Hotel. Cam has a hunch his father is somehow connected to this magical place, and may even be lost within its hidden halls. Every journey has its risks, and The Hotel Between is full of dangerous secrets. If Cam’s not careful, his stay may be over before his vacation has even started. The newsletter will go out November 26th, and the #MGBookClub Twitter chat will be held December 4th. We can’t wait to share this book with all of you!